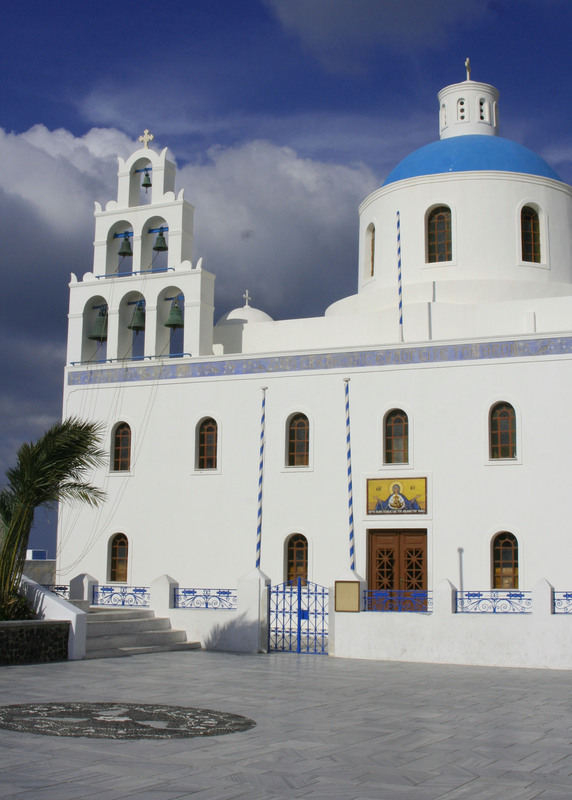 The Church of St. George in Oia, Santorini. 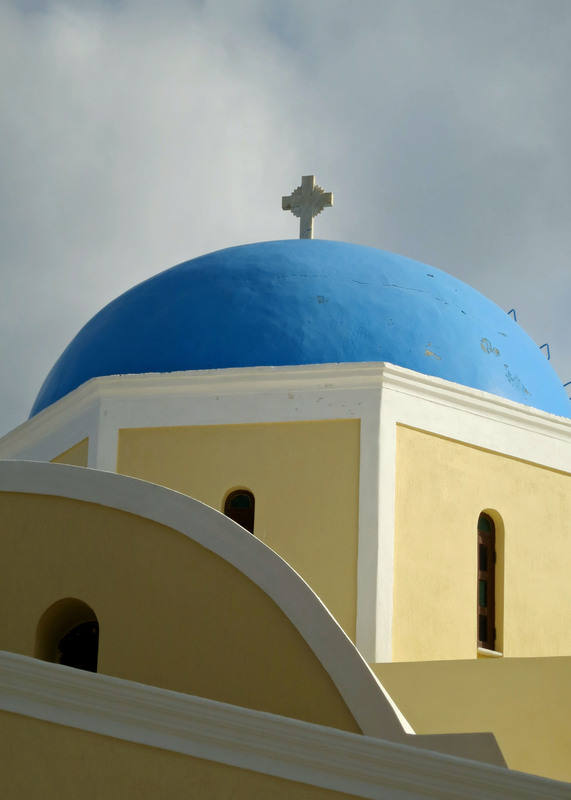 Most, but not all of Santorini’s churches featured a blue dome. 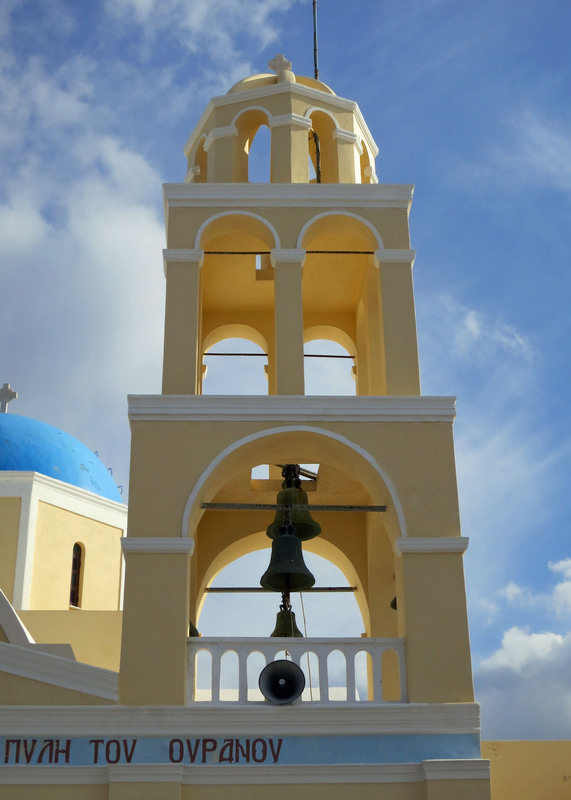 This is a close up of the bell tower on the Church of St. George in Oia, Santorini. The bell towers throughout the town were as unique as the churches. 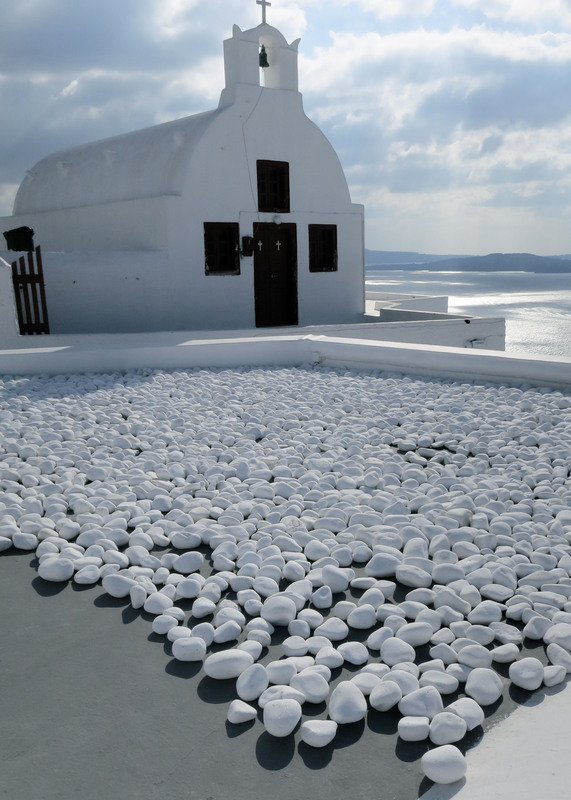 I found this church with its white rocks surreal. A view of the same church seen in the photo above from behind. This church provided an interesting backdrop for the homes in front. I also liked the fun play of light and shadow. 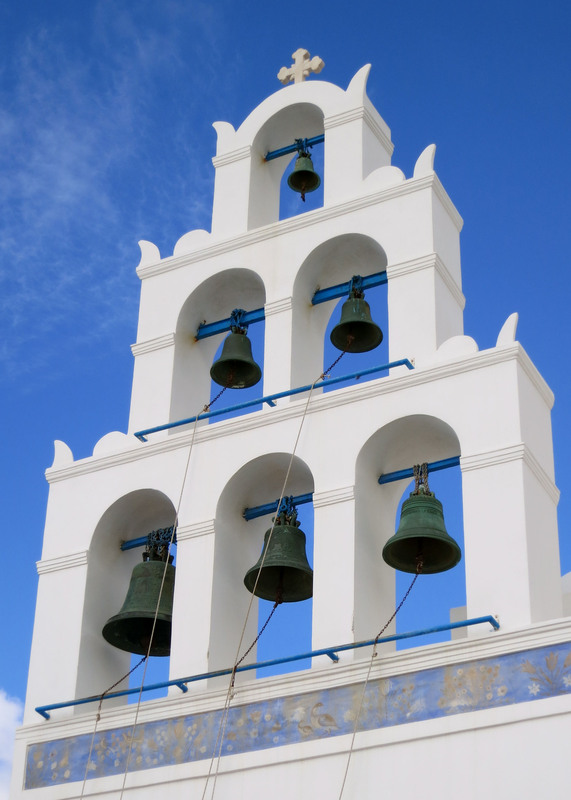 The bell tower of the Church of Panagia in Oia, Santorini. 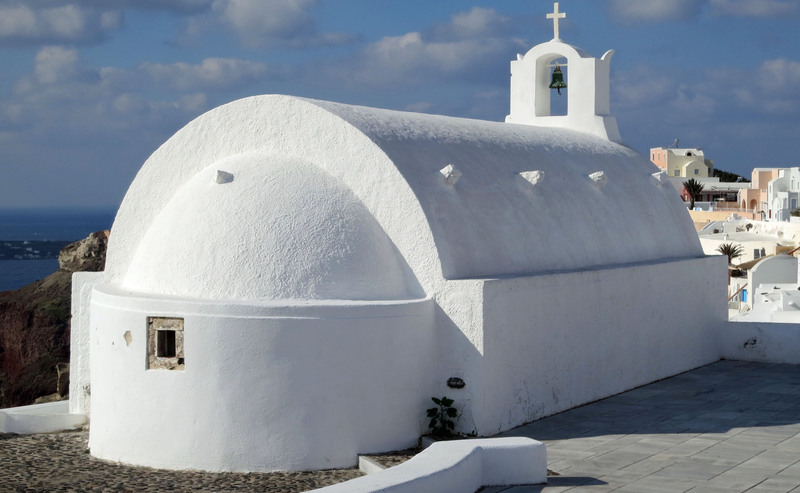 Another of Santorini’s uniquely beautiful churches. 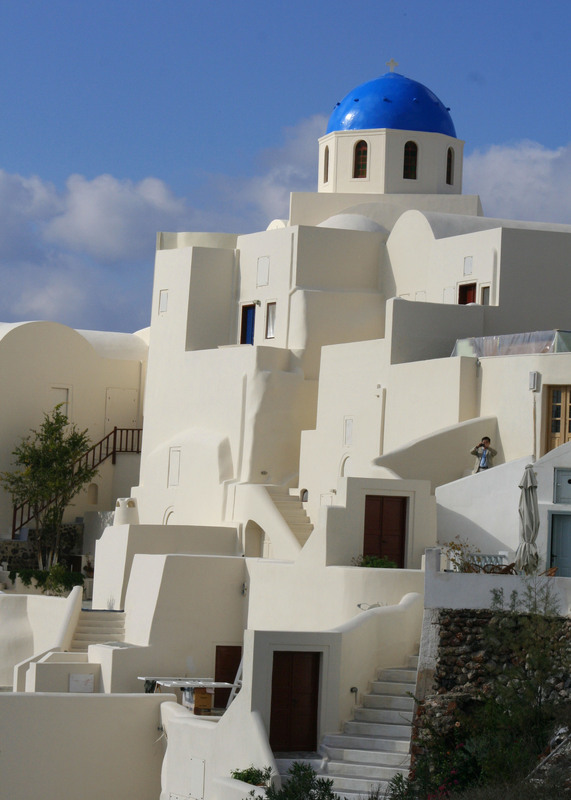 I like this church on Santorini because of its almost sensuous lines. Can a church be sensuous? Having the Mediterranean for a backdrop didn’t hurt either. 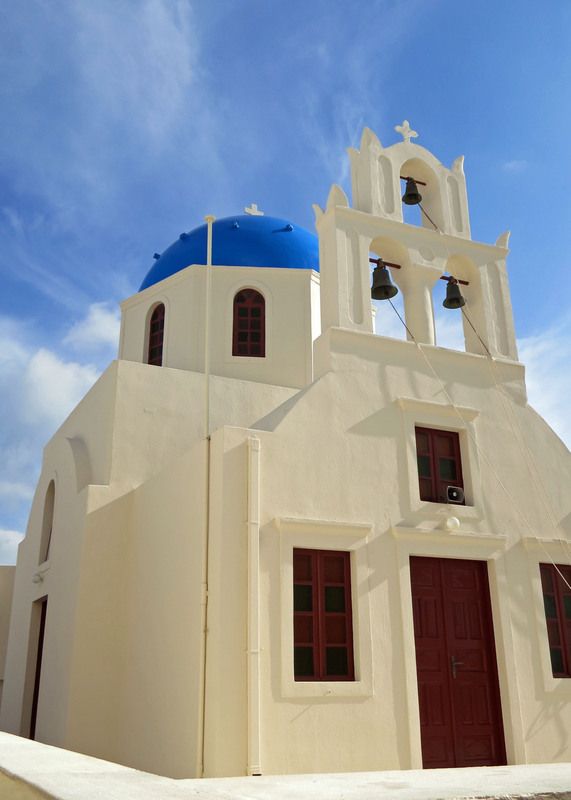 This is another perspective on the Santorini church shown above featuring its salmon colored bell tower. 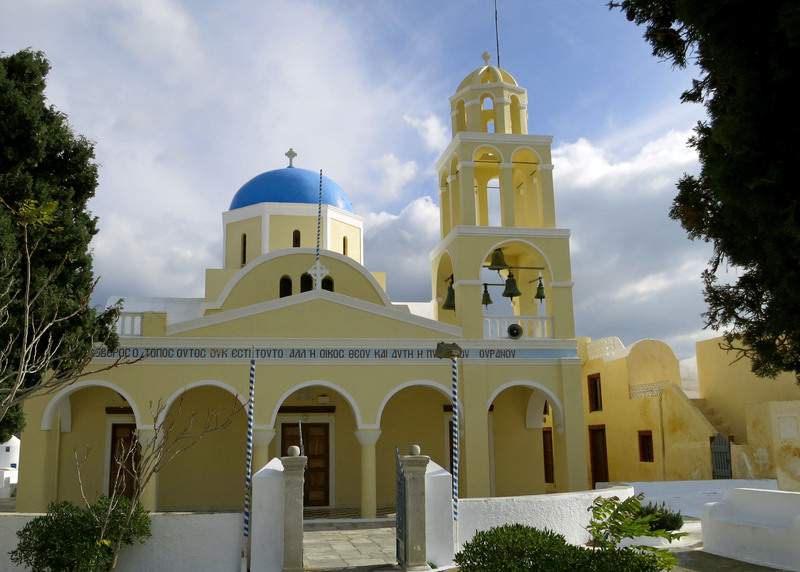 My concluding photo on the beautiful and unique churches found on the Greek island of Santorini. Reblogged this on Greek Ancestry Association. Santorini was the hilliest place we visited Lynne, and you could very easily enjoy the views from the top… or, as you put it, the lovely balconies. (grin) Santorini’s cliffs were actually the side of a volcano. I’d be surprised if you would find those churches anywhere although we found some similarity on Mykonos. Thanks for bringing back some great memories. We were there in the early 90s while on a cruise. It was magical. Those are some awesome buildings! Very pretty. 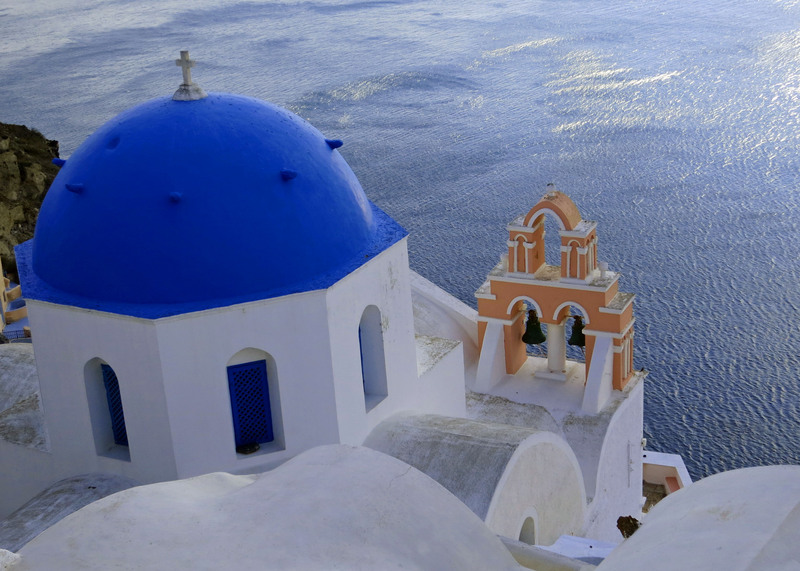 For a long time, I had wondered where the striking blue-domed buildings in pictures of Greece were. 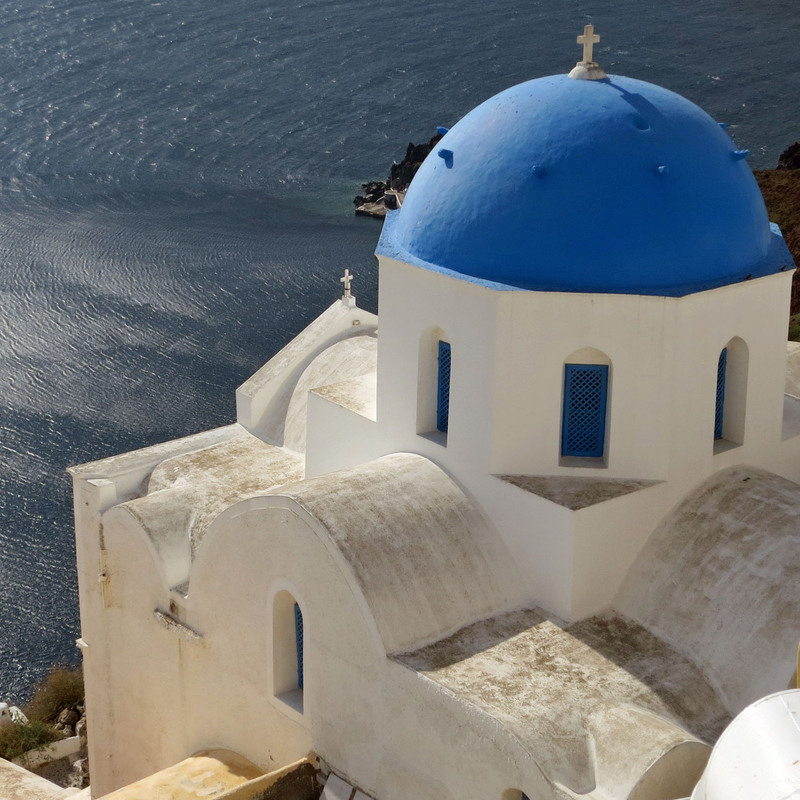 This post shows the beautiful churches in Oia on the island Santorini close up. with all the white rocks?